Prepare yourself for Black Friday 2017 with a look at some of JC Penney’s best deals. This week, retailers have begun revealing their exclusive Black Friday 2017 deals, including JCPenney. 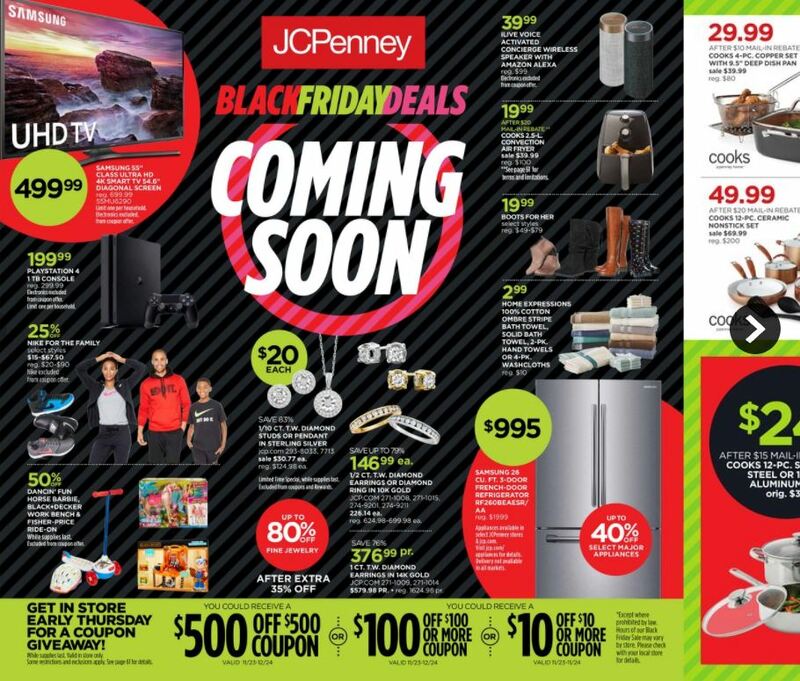 The full ad circular for JCPenney’s Black Friday 2017 sale has been revealed on their website, and it contains some pretty notable deals and discounts. To narrow things down, we put together a list of some of the most notable Black Friday 2017 deals from JCPenney! Note that you’ll have to wait for these deals to go live during Black Friday 2017. For more on Black Friday 2017, be sure to check out our prediction articles on PlayStation 4, Xbox One, and 4K TVs!